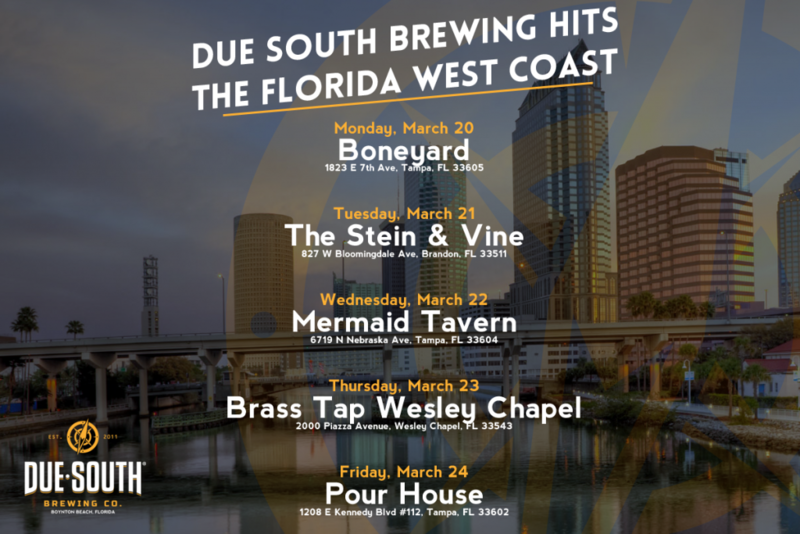 Due South Brewing In Tampa – Due South Brewing Co. The craft beer scene in the Tampa area is a beautiful sight to behold. Starting this week, we’re glad to now be a part of that scene. Due South Brewing’s beers will now be available at beer bars, restaurants, package stores, big box beer retailers, and anywhere that’s interested in serving up a quality beer on the West Coast of Florida. This will include Tampa, Naples, St. Petersburg, Largo, Fort Myers, Cape Coral, Port Charlotte, Sarasota, Bradenton, and up through Crystal River. Want to know who’s carrying our beer? You can find a constantly updating list on our beer finder page. This dynamic map shows every retail partner across our distribution territory. Don’t find anyone selling Due South near you? Ask your favorite bar or package store to put us on the shelves, and get easy access to our quality beers.